Dentures have long been the go to choice for endentulism. To be able to restore and replace tooth or teeth that should maintain function and appearance, a patient will need to order a prosthesis from his dentist. Removable dentures can replace a missing tooth or teeth whether the loss is unilateral or bilateral, or located in the upper or lower jaw. Removable dentures rely on a lot of things: they rely on the available bone, any available teeth and on the design of the actual prosthesis. As long as all factors are satisfied, you will have a reliable and functional prosthesis. The dentures will replace the lost teeth and the result is an effective smile transformation. Dentures do the work, at least until all things are satisfied; after awhile, the dentures fail and long-time denture wearers begin to sacrifice. When health begins to deteriorate, the dentures begin to be useless to the patient because they become ill-fitting, loose, uncomfortable and almost unwearable. The bone resorbs through time and in the case of complete dentures, the inclusion of dental implants will resolve this issue. Denture implants are dentures that are designed to be fitted on the arch with implants on the jaw. Instead of wearing the dentures on its own and being complacent about its poor retentive property; and instead of having multiple implants in your mouth to replace all the teeth that have been lost, you install a few units of implants within the jaw, affording some stability on which the dentures can rely on. Denture implants provide great comfort and usability for the patient. This brings so many changes to the whole experience of denture wearing. 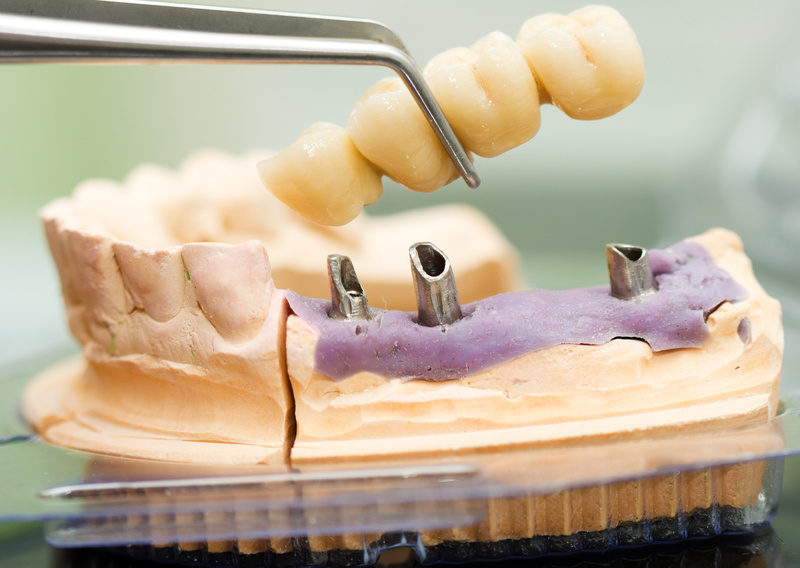 If in the past complete dentures were always unreliable, they are no longer the case. The implants afford great retention, so even patients with compromised bone health can have teeth that will allow them to smile proudly and eat comfortably. As already discussed, bone resorption is an expected consequence after a tooth extraction. After a tooth is removed, the void that is left will undergo remodelling so there will be some bone loss which will involve loss of height and width. The forces that the jaw endure with constant jaw function also compromise the bone. In a removable denture, the bone tends to endure all the forces and they suffer — resorbing as a result. Long time denture wearers almost always come to this end so their old dentures almost lose value unless they are reinforced with dental implants. The installation of dental implants does not only stabilize the prosthesis in the mouth so that the function of the mouth is restored significantly, but the dental implants also preserve the health of the bone. When an implant is inserted into the bone, this decreases inevitable bone loss that is almost expected after every extraction. The timely addition of the implant into the bone shall preserve bone and it will, therefore, favour health in so many ways. Denture implants have long been a very satisfactory in the restoration lost teeth and it will continue to do so because it has given amazing results to patients, even elderly patients who have been having problems with their dentures.